Today I want to write about a funny looking animal that has really cool tusks, the common warthog. These strange looking pigs grow up to 1.5 metres long and 85 cm tall. Common warthogs are very fast runners and can run up to 48 kph to escape predators such as lions, African wild dogs, spotted hyenas, Nile crocodiles, leopards and cheetahs. When they run, their tail sticks straight up in the air. The warts on their face are used to protect themselves. They also have very long curved tusks, growing up to 64 cm long in males. These tusks can cause a lot of damage to predators. They often use aardvark burrows as protection from predators, to sleep in at night and to raise their 1-4 piglets. Common warthogs are found in the grasslands and open savanna of sub-Saharan Africa. 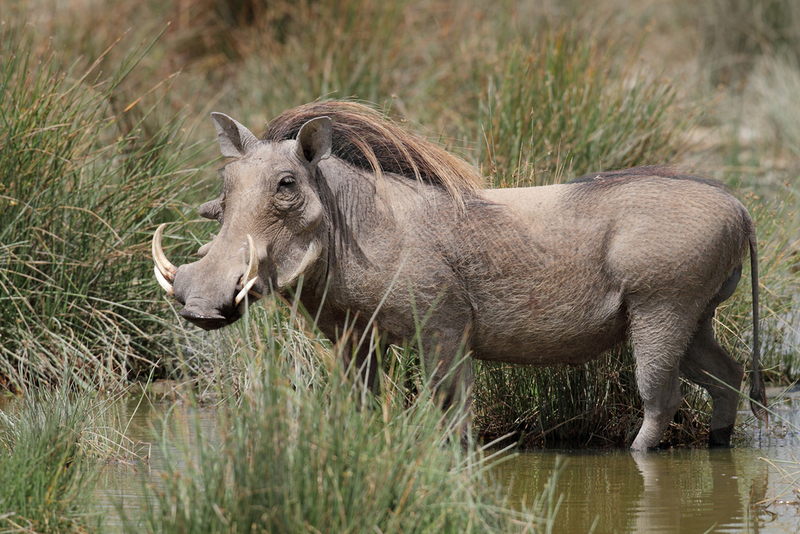 Are there any other interesting facts that you would like to share about common warthogs?